Thomas A. Auxier was born in Auxier, Floyd County, Kentucky. He received his Bachelor of Science in mechanical engineering in 1958 and Master of Science in mechanical engineering in 1962 from the University of Kentucky. 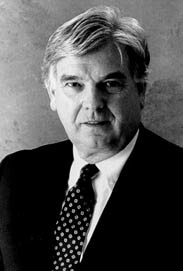 From 1965 to 1981, Mr. Auxier held positions with Belcan Corporation and General Electric Company in Cincinnati, Ohio. In 1981, he accepted a position with Pratt & Whitney Aircraft Company. Headquartered in Palm Beach County, Florida, Pratt & Whitney is the world’s leading designer, developer and manufacturer of gas turbine engines for commercial, military and general aviation aircraft. An expert in the field of heat transfer, Mr. Auxier’s engineering expertise lies in jet engine turbine design. His outstanding contributions to national defense and commercial aviation are unsurpassed. As Director of Advanced Turbines for Pratt & Whitney, Mr. Auxier is charged with designing the F119 engine for the F-22 advanced tactical fighter. He is also credited for designing the long-life, high-temperature turbine, Pratt & Whitney’s F100/220 “9-” Year Turbine, the first flight-worthy vectoring exhaust nozzle, and holds 45 patents associated with jet turbines. Mr. Auxier has returned to his alma mater in recent years to participate in the College of Engineering’s SHARE Program. Honoring distinguished graduates from the University of Kentucky College of Engineering, those chosen return to the campus to SHARE their career achievements and philosophy with current students and faculty. Mr. Auxier was inducted into the College of Engineering Hall of Distinction in 1996. He and his wife, Sylvia reside in Palm Beach Gardens, Florida, and have two sons, James II and Travis.